Whether you know it or not, if you're innovating, you're on a rollercoaster ride, and the twists and turns are unpredictable. 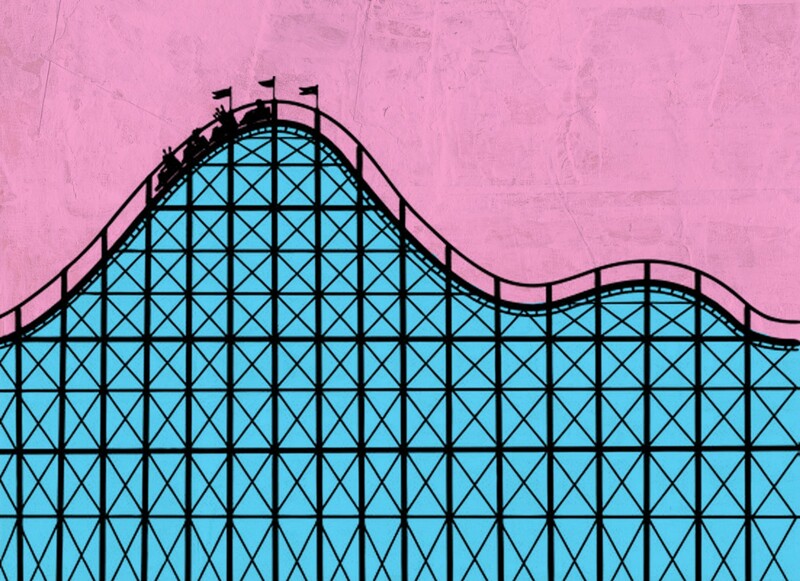 Whether you know it or not, if you’re innovating, you’re on a rollercoaster ride, and while the twists and turns are unpredictable, there are ways to prepare. Begin by taking stock of where you are; gather what you know to present an accurate picture. Come up with metrics that show how you are (or are not) moving the needle. For example, “Here’s why we have 500 subscriptions, even though we projected 1,000.” Beware of vanity metrics — it’s tempting to tout impressive metrics but if they don’t track back to the bottom line they will only obscure what’s truly going on. Determine how you’ll walk each stakeholder through your presentation and be ready to speak to next steps. Without diligent preparation, the symptom is a bad meeting and the cause is that you didn’t do your homework. As you take time to reflect, develop your cadre of stakeholders. You’re looking for greater objectivity and a range of opinions, not a cheerleading squad. Plan your meetings as one-on-ones with each stakeholder so there is ample time to focus. As you go from one meeting to the next, your material should evolve based on the feedback you receive, as each point of view should help you gain insight into what the business wants you to do and what challenges your business faces. Too many executives overemphasize their wins to overshadow their losses, making stakeholders feel like they are being sold to as opposed to being part of process. Hold fast to your confidence and your credibility so you can listen up, which is priority number one. Be ready to present what is really going on — accurately and fairly. How will you do that if things aren’t going well? Be upfront about the challenges and how you plan to face them. You’ll need to get comfortable with delivering good news alongside news that’s not so good, because you will undoubtedly experience both. As you prepare, don’t forget to take care of yourself. Get plenty of rest and do whatever puts you in a clear headspace — meditation, yoga or any kind of exercise. Put your body in motion so you’re ready to face challenges with clarity, creativity and solid strategic thinking. Presentations are an artform; people will read a lot from your body language, and they’ll know if you believe what you’re saying. If you’re energetic and upbeat, that will go a long way. The importance of transparency — not just in these meetings but in your career as a whole — cannot be understated. On average, successful startups get acquired after 7 years or their IPO goes public after 8.25 years. If you’re in this for the long haul, credibility is your most precious resource.